Finding your company’s voice in your marketing efforts and written content is a rich way to connect with your customers, engage potential customers, and develop a loyal audience base. Voice is one of the imponderable elements of good writing, and unlike punctuation and spelling it can not be taught with a swift rap from a strong wooden ruler. Strunk and White did get a few things right, including their emphasis on this art; voice should be the driving force behind marketing and message and you should take the time to develop and apply your own. Businesses (like people) have distinct personas, and instead of hiding that persona behind flat, uninteresting writing, it should be allowed to shine through the darkness of the content world. 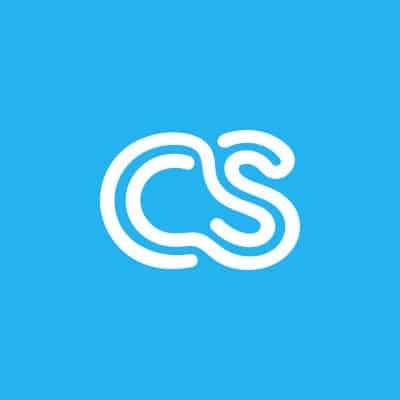 It took us many months of effort to establish our own voice at crowdSPRING (thanks to the hard work and talent of our own Marketing Director, Pete Burgeson) and it has earned us countless compliments, deep good will, and even an award or two. 1. Learn how to use it to the greatest effect. To do so you’ll have to practice like mad. Develop your voice through repeated application and revision. Also, be sure to read lots of other writer’s and marketer’s works and learn to identify voice when you see it. 2. Establish a style of your own. Your tone and technique should be unique and original – make it your own, whether passive, active, funny, quirky, informed, or whatever adjective best fits. Practice as much as you can, and apply your voice wherever you can. The more prolific you become, the better developed your voice will become. Your style should capture your readers interest; it should be engaging and compelling, from the copy on your snack package to your latest blog post. Whatever your style, you want to be convincing and persuasive. Your voice in the written content of your marketing should fill the ultimate purpose of this entire exercise: it should convince your customer that you have what they need. 6. Be consistent, be ubiquitous. Your style should be applied evenly across all of your written content; uniformity of voice is the magic in the process. Most of all, don’t be stingy with your voice; your generous with it will be rewarded. Remember that your voice is here to be at the service of your company, and your product or service. The appropriate voice is the one most effective in meeting the purpose of whatever it is you are writing. 8. Be considerate of Dear Reader. Your audience is made up of people, and you need to tailor your style in accordance to their needs, interests, and values. For instance, while many lawyers have great senses of humor, your marketing to this professional audience may want to be a bit more sober in tone. Choosing the appropriate style for your business will pay dividends; choosing the inappropriate tone could come back to haunt you. 9. Subject yourself to all objects. One thing Strunk and White did well was to stress the importance of grammar in the application of voice. Know how to write a sentence correctly before you start to play fast and loose with your language and your structure. 10. Listen to your audience. Read their comments, raves, and suggestions. Take their criticism seriously – the feedback loop is indispensable to the ongoing improvement of your writing and the evolution of your voice.